Twitter’s Moment’s feature is one of the most unique tools to be introduced to the platform in the last few years, but it’s been limited in that only the wizards at Twitter HQ and a select few partners could create them. That’s now changing. The company today opened up Moments so that anyone can make one about pretty much topic. Twitter first opened up Moments to wider selection of companies in August, and announced at the time that it would be bringing the feature to everyone soon. 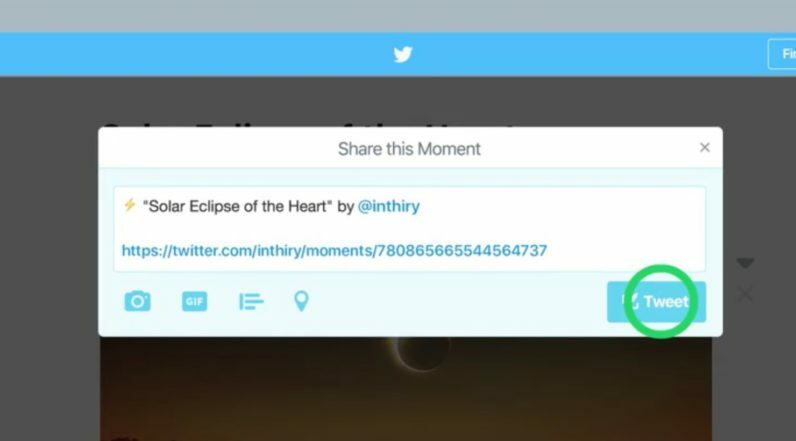 Now that it’s here, there’s a new Moments counter on your profile, and you’ll now see a a new ‘create a moment’ button on Twitter’s desktop site. Click on it and you’ll be able to add series of tweets for your moment, as well as a cover photo. Twitter also eases the process a bit by letting you include tweets you’ve liked or search for others throughout the platform. Moments haven’t quite taken off like Twitter probably hoped – I use them pretty often, but plenty of colleagues here at TNW are less enthusiastic. Still, opening up the feature to everyone is a welcome move – one Twitter probably should have done much earlier, particularly as Moments works as an analog to Snapchat and Instagram’s Stories features. And since you can include content from throughout the platform, you can arguably create more broader, more interesting narratives with Twitter. But whether anyone will actually use Moments, we’ll have to see.